While I will not be hosting Thanksgiving this year, it doesn't stop me from looking up ideas on Pinterest. 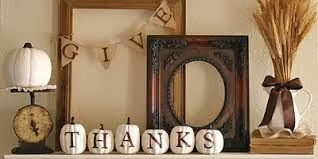 I hope that one day when we have a bigger place, that I can host a successful Thanksgiving dinner. 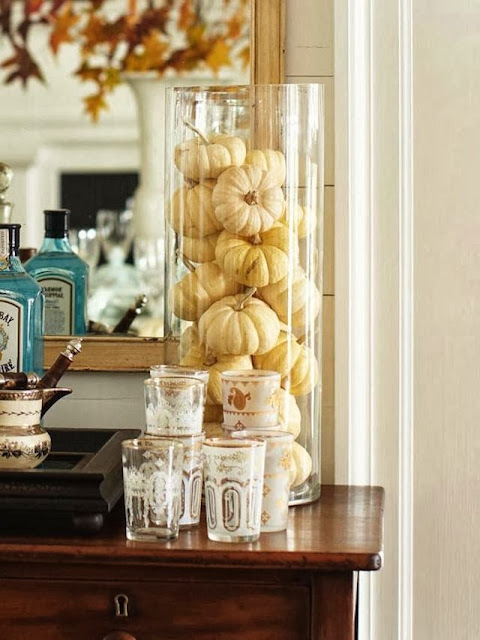 Right now I'm loving the look of the white pumpkins and gourds. 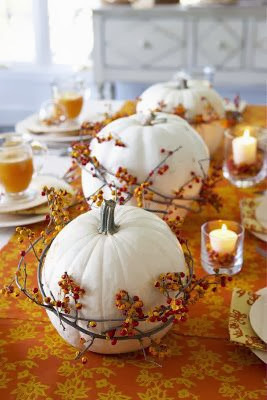 I'm excited to have a mantel to decorate and a large table to set. 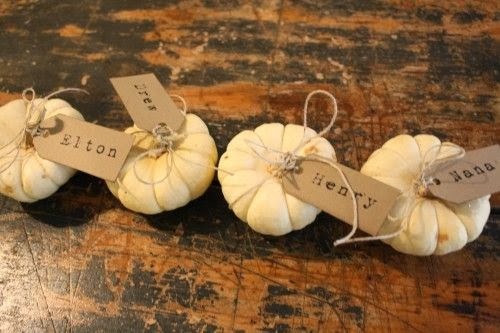 While our families aren't as formal, I think the pumpkins as place cards are really fun. 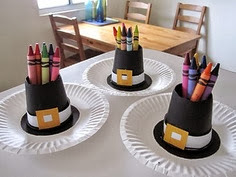 And even though Noah is the only kid at this year's Thanksgiving dinner, I think these pilgrim hats filled with crayons are totally adorable. Maybe next year Noah will actually color with them instead of just eat them! And of course, Thanksgiving isn't complete without some seriously yummy food. I've never made a full dinner, so I will take all the help I can get! 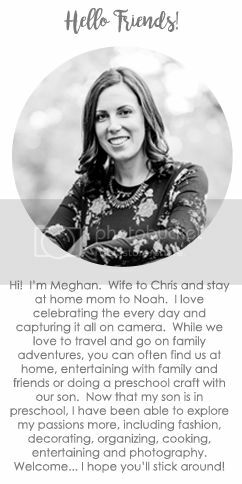 I found this Thanksgiving Planner on Crate & Barrel's website and thought it could be very helpful! Chris prefers the super simple Stove Top Stuffing and I'm a purist who loves extra creamy whipped mashed potatoes. Add some buttery rolls and I'm a happy girl. But I'd have to say dessert is my favorite. While Chris is a huge fan of pumpkin pie, I'm an oddball who isn't a fan of pies in general (I know... CRAZY!). 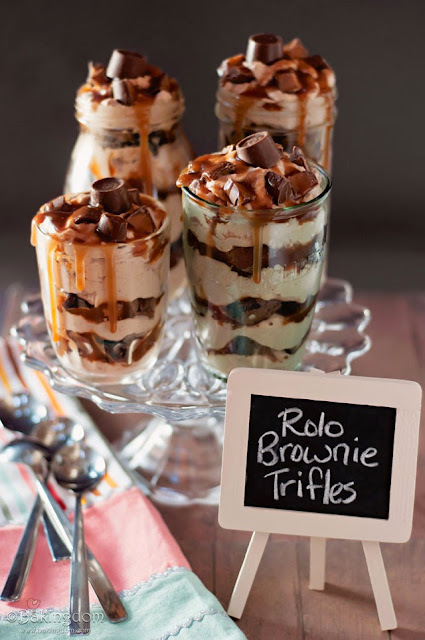 Instead I prefer my desserts to be of the chocolate variety, and these Rolo Brownie Trifles really hit the spot for me! 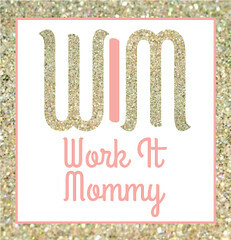 Wouldn't it be so much easier to always plan make believe dinner parties... all the fun with none of the hard work! THose little hats are so cute. 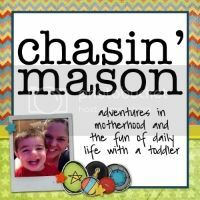 I might have to borrow that idea for all the little ones in our family! Five on Friday - Happy Birthday Mom!